$47 Learn Energy Healing Hand Mudras | Certification Available! Melissa’s Energy Healing Hand Positions course is designed to quickly teach you the how to use Hand Mudras to bolster healing! What’s more, you’ll be able to use them at any time and even show them to your family, friends or clients, too! Learn what Hand Mudras are and the step-by-step processes to form them! A beautiful Hand Mudras Energy Healing Certificate upon completion! Course includes a detailed handbook, 23 videos, 8 written articles, 3 quizzes, 1 final exam, and more! A quick way to bolster healing is at your fingertips! The 34-page Energy Healing Hand Positions – A Short Course in Hand Mudras! handbook (PDF)! Seven (7) Main Chakra Mudra Posters (JPG + PDF) that you can use as desktop images or print out as posters! A beautiful Energy Healing with Hand Mudras Certificate (PDF)to display in your home or office! If only everyone knew how quick, easy, and effective Hand Mudras are in bolstering our healing efforts, it would be a common part of our everyday lives! This course is designed to introduce newcomers to the world of Hand Mudras, as well as be a great additional learning resource for those who practice energy healing, meditation, and yoga. 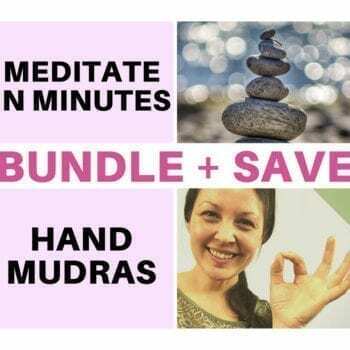 Keep in mind that no experience is required to take this course because I created it in a way so anybody can learn and benefit from Hand Mudras! 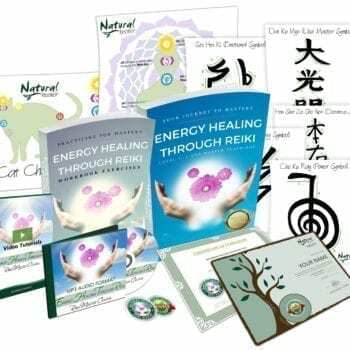 However, it’s a brilliant further learning course for other loving healers, or as complement to my Reiki Master Certification course! Full Course Inclusions - Over $100 of value for $47! A 34-page Energy Healing Hand Positions - A Short Course in Hand Mudras! Handbook (PDF), which includes foundational information, explanations, and step-by-step Hand Mudra methods, and more! Seven (7) Main Chakra Mudra Posters (JPG + PDF) that you can use as desktop images or print out as posters, in order to help you quickly reference what you've learned! Lifetime access to the Online Student Platform - which has links to files, 23 video tutorials (over 40 minutes of video) with closed captioning available, and interactive quizzes to further enhance your learning. Some understanding or exposure to energy healing. If you’re ready to use the power within your hands, simply click the add to cart button below! And remember, I’m always here to help so if you any questions be sure to check out my FAQ and refund policy here; or contact me here anytime! Melissa is an amazing teacher. Her voice and and the way she teaches touches me and is easy to learn and understand. It is soothing and educational at the same time. This is going to take me to another new world of energy healing. I am excited to use this healing modality. You re a special amazing teacher and I look forward to taking all of your courses. I agree with Paul, another fantastic course – well taught and it’s possible to see the pleasure in Melissa’s face as she teaches. I will definately do more! Another fantastic course! Loving doing the Mudras on the go.